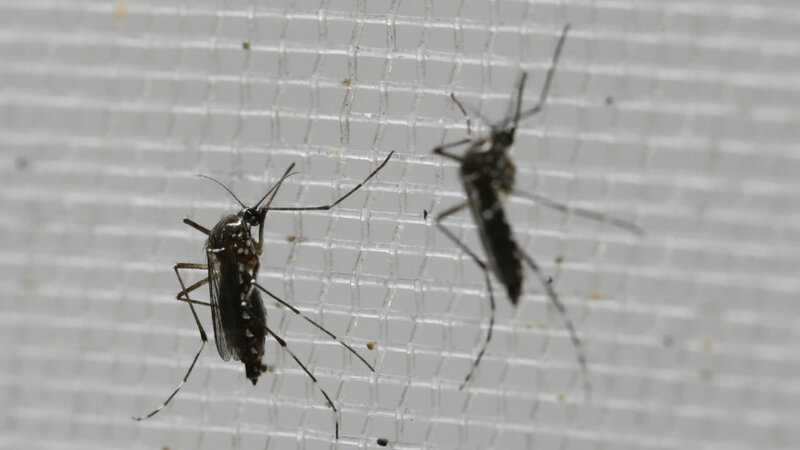 NEW YORK (WABC) -- New York Senator Charles Schumer wants the White House to appoint a "zika czar" to coordinate the U.S. response to the mosquito-borne virus that is being blamed for serious birth defects after the 16th case in was confirmed in New York state. Schumer said Friday that the Zika czar would coordinate between federal agencies and foreign governments to prevent the spread of the virus and that the position should be filled before the start of mosquito season in the U.S. The Zika virus is the suspected cause of babies in Brazil and other Latin American countries being born with abnormally small heads, and the federal Centers for Disease Control and Prevention is urging pregnant women or those trying to become pregnant not to travel to Zika-affected areas. The Obama administration has asked Congress for $1.8 billion to fight Zika. Five cases have been reported in New York City, with four on Long Island and one each in Erie, Monroe, Orange, Putnam, Rockland, Westchester and Tompkins. Meanwhile, the president of the International Olympic Committee says no countries intend to pull out of the Summer Games in Brazil over concerns about the virus. IOC President Thomas Bach said Friday that he has "full confidence" in the actions being undertaken by the Brazilian authorities and global health organizations to combat the outbreak of the mosquito-borne virus. "There is no intention by (any) national Olympic committee to pull out from the Rio Olympic Games," Bach said. "This does not exclude that we are taking this situation very seriously." Brazil has been the epicenter of the Zika outbreak, which has spread across Latin America and been labeled a global health emergency by the World Health Organization. Health authorities are investigating whether there is link between Zika infections in pregnant women and microcephaly, a rare condition in which children are born with abnormally small heads. The outbreak has raised concerns ahead of the Olympics, which are still six months away in August. "We have full confidence in all the many actions being undertaken by the Brazilian and international authorities and health organizations," Bach said. "We're also very confident that the athletes and the spectators will enjoy safe conditions in Rio de Janeiro." Some athletes, most notably U.S. soccer goalkeeper Hope Solo, have expressed fears about going to the Olympics. Solo said earlier this week that if the games were being held today, she would not go. Bach said the IOC was working with national Olympic committees and the World Health Organization to monitor the situation. He reiterated that, because the games are taking place during the Brazilian winter, the colder conditions should mitigate the threat from mosquitoes. "The World Health Organization has not issued a travel ban," Bach said. "All the experts agree that the temperatures in the Brazilian winter time when the games are taking place in August ... will lead to a very different situation." Bach's comments echoed those of the IOC's medical director, Dr. Richard Budgett, who told The Associated Press on Thursday that "everything that can be done is being done" to contain Zika ahead of the games, stressing that health authorities have not issued any travel restrictions for Brazil. Bach is in Lillehammer for the second Youth Winter Olympics, where more than 1,000 athletes from 70 countries between the ages of 15 and 18 will compete in 70 medal events over 10 days. Lillehammer also hosted the 1994 Winter Games, which are widely regarded as one of the best ever. "These games are a great opportunity for Lillehammer and Norway to refresh, modernize a great legacy the Lillehammer Olympic Games have left here," Bach said.